Looking around, you can be fascinated by the beauty of nature – the flowers, the tall trees and in the garden the shrubs and the dwarfed plants known as bonsai trees. These miniature trees and plants may just be modifications but it is very mesmerising to see the aged foot-tall tree with small fruits. You may wonder how the Japanese could have come up to an art on how to bonsai trees. Was this a product of ingenuous experimentation? The added class is enthralling, bringing joy to people who love plants. You see the dwarfed bonsai trees in decorative pots and jugs and they seem to be a good centre piece in the centre table in your living room. Indeed a bonsai tree is a pleasure to behold. Learning how to bonsai a tree is not a difficult task. That is – if you are patient and determined on how to do it and how to care for the resulting miniature plants. How to bonsai skill is learned. The secret in dwarfing the growing bonsai tree is on how you handle the roots. You should know how to cut the roots to curtail the plant from growing into its normal size. There should be symmetry in the branches of the bonsai tree and this requires knowledge on how the parts of the trees are pruned. And – like the normal sized plant or tree, they need adequate amount of water, sunlight, air and fertilizer. Learning this Japanese art of tray planting requires learning the aesthetic form of small plants. The smallness of the container helps in stopping the plant to grow to its normal size. Pruning, growing and caring for the small bonsai tree are the basic techniques. Even if you want the plant to retain a small size, that is bonsai, you do not deprive the plant of nutrients to make it live and grow small but beautifully and healthy. With the right type of soil, pot, water, fertilizer, sunlight and air, the miniature plant can possibly outlive one of its full size specie. The years in the life of a regular tree are also the length of time a bonsai tree of the same specie lives. Do not think that bonsai is a kind of hybrid dwarf plant. It is an ordinary tree restrained by techniques to achieve a full blown growth. Any plant can be made into a bonsai however the small leafed kinds of plants are most suitable for this purpose. 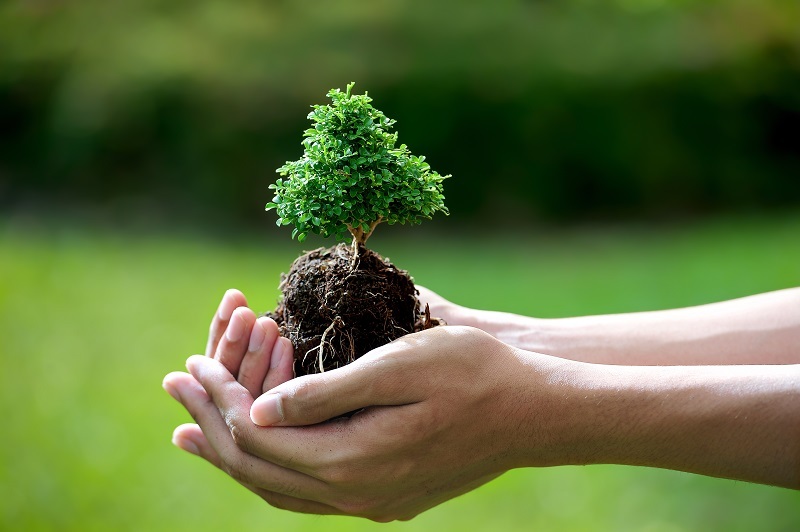 What you must have on hand to start a bonsai tree are the following – seeds and cuttings from young or full grown trees. When you plant the seed or cutting, you observe the proper way of making them grow. You cut some parts of the root, re-pot and prune then as it grows, tie a wire on the trunk and position the wire to your desired shape. 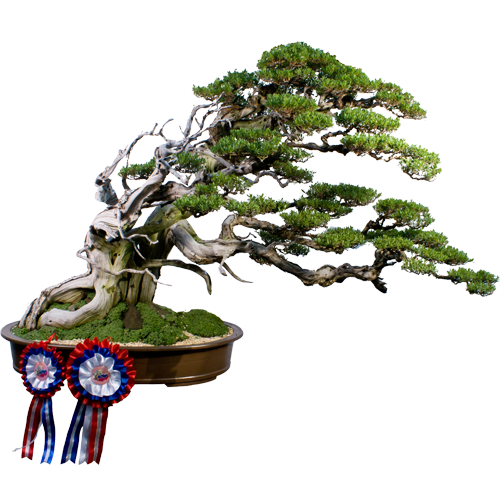 The proper wiring of the trunk is the secret to the bonsai trees beautiful form and shape. As you are not yet well-versed in this Japanese art, you ought to choose bonsai tree species that is easy to grow and maintain. Try to look for starter trees, consider the adaptability of the tree to your climate, specific needs of the tree as it grows and the planned location of the bonsai. Would you put it indoor or outdoor? If you want to succeed in dwarfing your plant, you see to it that you frequently transfer the growing tree from one pot to another and in the process, trim a little of the roots. Then the branches should be trimmed regularly. When you are learning how to bonsai a tree, it is also paramount that you learn that it is planted off-centre of the container. Plant several bonsai trees in one tray, see to it that it follows the basic rule in gardening – heaven, earth and man planting position. And according to Japanese culture, a bonsai reflects truth, beauty and goodness. The arrangement of the bonsai tree in a large pot provides also a visual balance of relationship. This is the triangular pattern. Bonsai is better appreciated for their age and the aesthetic symmetry. It reflects a message of balance so when you try to learn how to bonsai a plant, integrate these concepts. The dwarfed plant can live for hundred years and you can even hand it down to future generations in the family.